Us wagon fans thank the automaker for not giving up, though many of us have considered other brands thanks to the mistrust of VW because of dieselgate. Despite that, I still got excited when Volkswagen announced a new version of its Golf wagon: the Alltrack. Think of it as a supposedly more rugged version with its raise ride height, and standard 4Motion all-wheel drive. The question is, is it enough to lure potential buyers away for their beloved crossovers? It worked and continues to work for Subaru, so naturally, VW wants a piece of the pie. 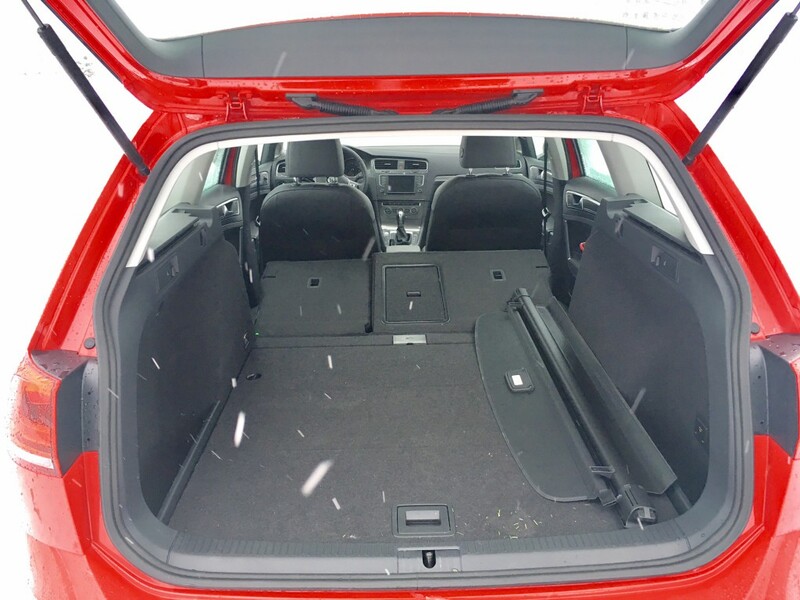 Aside from the raised ride height, body cladding, and unique wheel and paint options, the Alltrack is your standard fare Golf wagon. While not the sexiest wagon available (hello Volvo V60 and V90), the Alltrack’s style is likely to offend few. My tester’s optional HID headlights with LED surrounds for LED’s give it a bit more road presence, but otherwise it’s likely to go a tad unnoticed in a sea of crossovers. This could be a good thing depending on your tastes, but if it isn’t, the Golf is scheduled to get a styling refresh soon, which will surely make its way to the Alltrack. 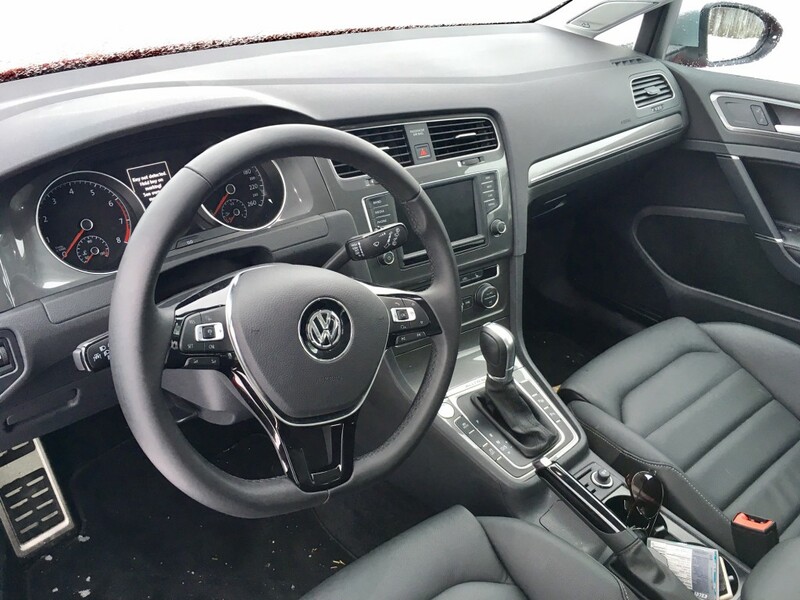 If you’ve been in a modern day Volkswagen, you’ll likely find yourself right at home with its conservative, straight forward interior that still emits a glimmer of class and refinement. The infotainment system is just as straight forward to use however this particular system tended to be on the glitch side; not always responding to commands on the first try. This system is also compatible with Apple CarPlay and Android Auto, which takes some of the fidgetiness out of the equation. Inside you’ll find decent room for passengers though interior space isn’t necessarily in abundance. Five passengers will likely find comfort to be adequate, however they may think otherwise during long trips. For a family of four, though, this wagon should do the trick. That’s true when it comes to cargo as well, especially with the rear seats folded to reveal shy of 1,900 litres of cargo room. Seats are supportive and comfortable. Matched with high quality materials and the Alltrack genuinely feels like a solid, perhaps more expensive feeling vehicle. Preferably, us wagon fans would like to have a lot of go with our wagons. So it’s disappointing to see that Volkswagen has only fitted one engine option to the Alltrack. It’s a 1.8 litre turbocharged four cylinder which is good for 170 horsepower and 199 pound feet of torque. While those numbers aren’t likely to get any enthusiast’s blood pumping, it should be noted that this is a strong engine and is very much adequate to the task of getting you going from a stop. Coordinated to the marvelous DSG 7-speed automatic and you’ve got yourself a perfectly acceptable machine for most. As an enthusiast, I didn’t often feel the need for more power, though if it were my money I’d likely want more available under my right foot. It should be said, though, that at idle you might think you had a diesel under the hood as this engine tends to clatter about. While a manual transmission is not offered, Volkswagen has hinted strongly that one would be available down the road. The big reason why I prefer wagons to SUV’s is in the handling department. 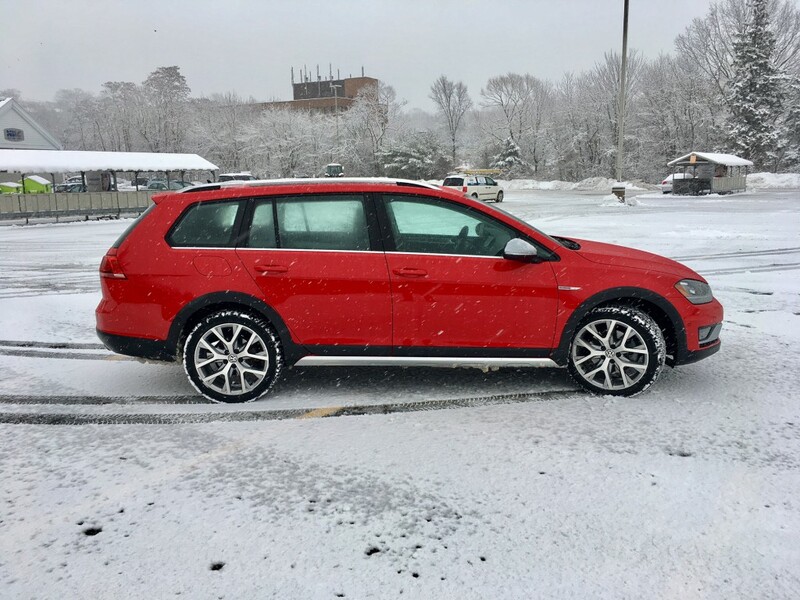 In spite of the raise ride height, the Alltrack is a good performer in the bends, and the engine set up helps propel it along smoothly and confidently. That could because the ride height isn’t actually raised by much – just under one and half inches – but in my mind this is a good thing. The suspension is complying and on the right side of firm without being jarring. 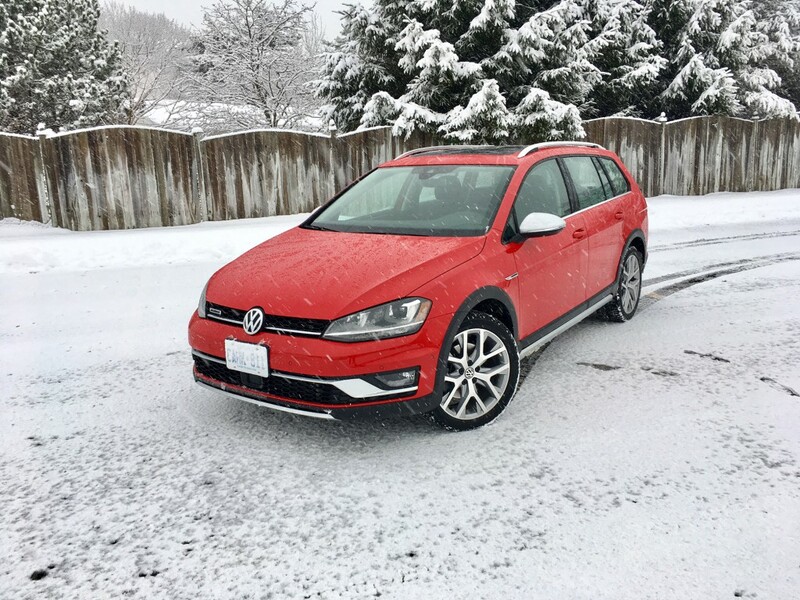 During my seven days with the Alltrack, we had two snow storms to put it through its paces. 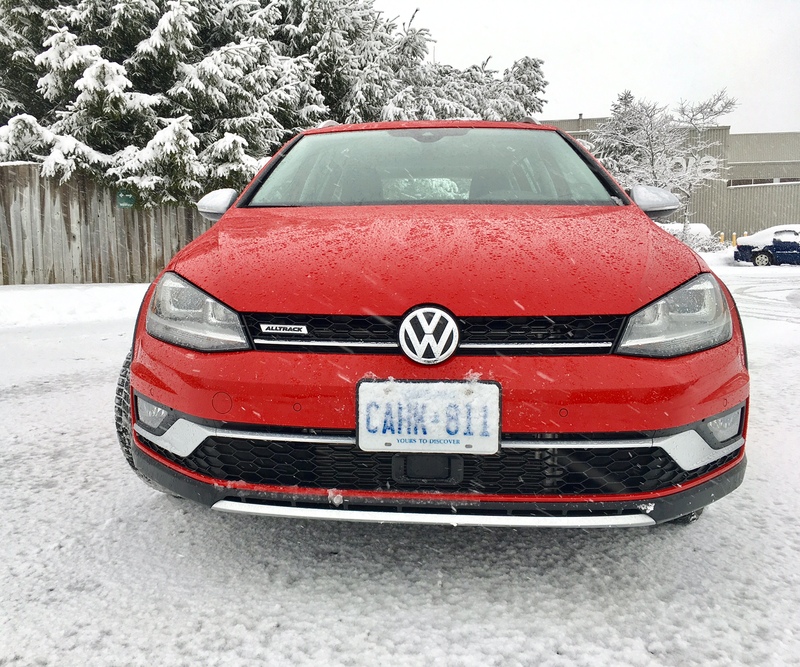 With the first storm, it was not fitted with winter tires. Gulp. 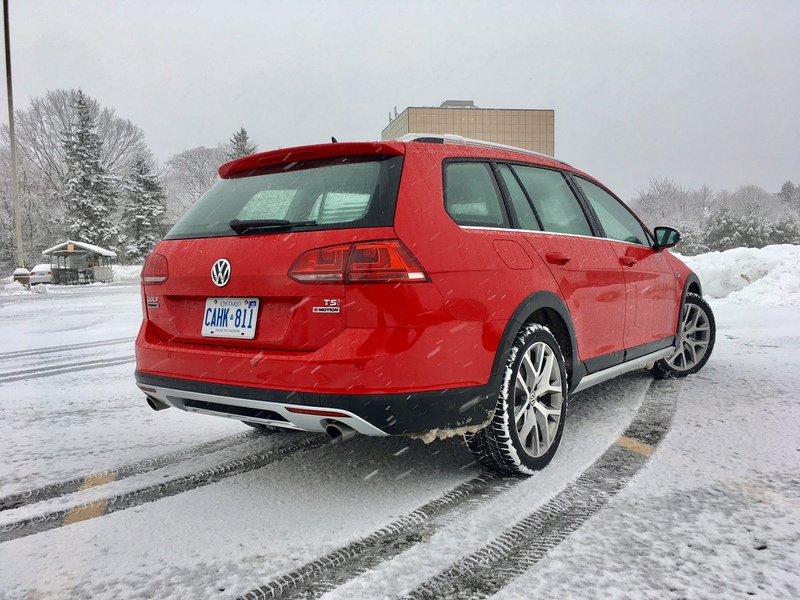 But as it turned out, the Alltrack almost felt like it didn’t even need them (though I would never ever suggest not fitting winter tires to any vehicle). I drove fairly assuredly over both ice and about 20 cms of snow. The Alltrack didn’t lose its footing once. Of course, I was driving with measured care, but it was still impressive to witness. 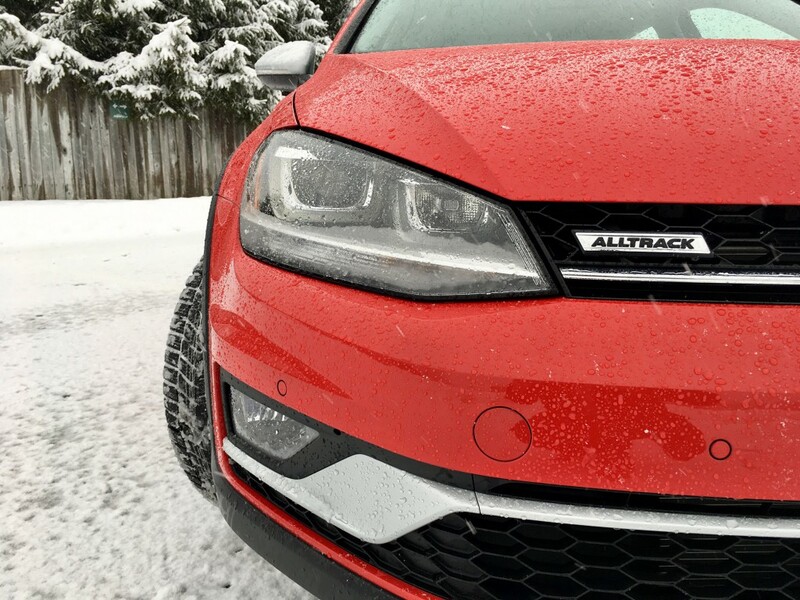 Even my girlfriend was impressed, commenting that she felt secure in the Alltrack’s hands. 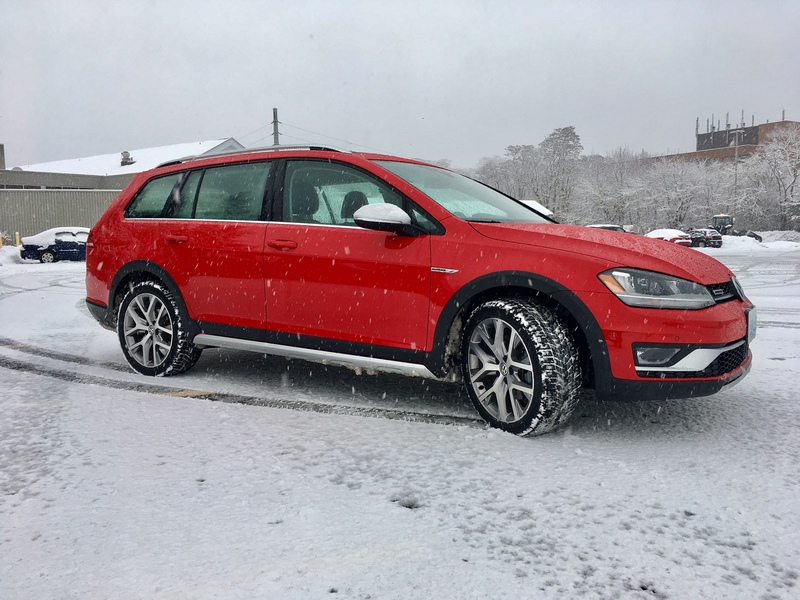 By the time the second storm of the week hit, the Alltrack got proper winter tries fitted which made it feel nearly invincible in the snow. 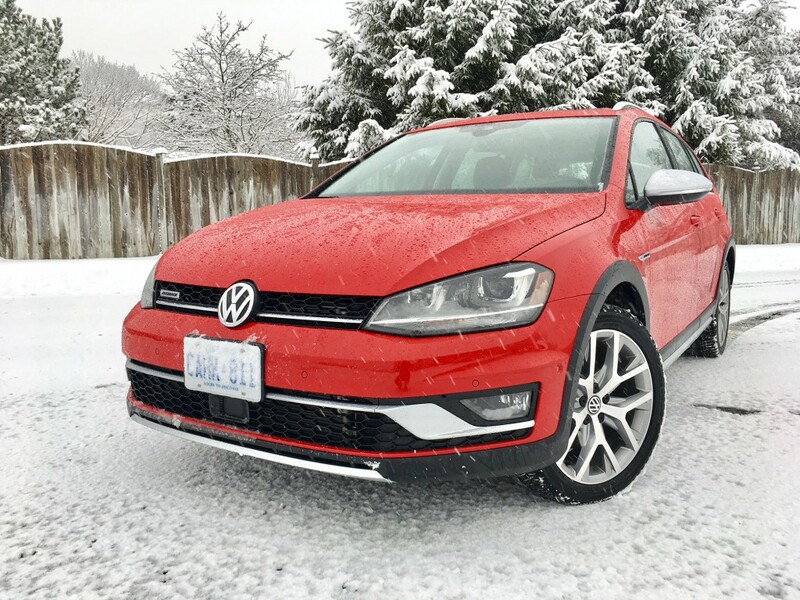 This really does speak to the validity of Volkswagen’s 4Motion all-wheel drive system. Knowing it had proper boots on, I switched from reserved driving to more spirited in an empty parking lot and had lots of fun. I experienced even more grip and confidence. 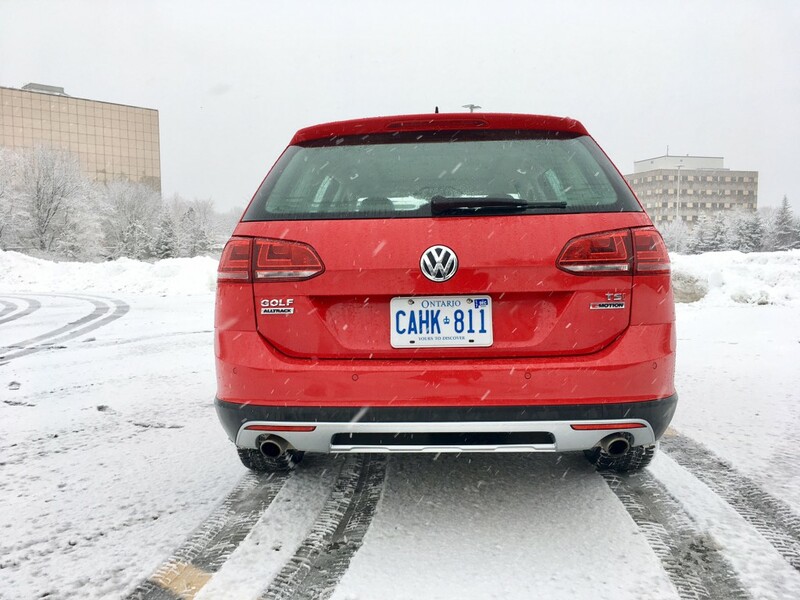 Official numbers for the Alltrack are 10.6 L/100 kms city and 9.0 highway. My week of mixed driving returned 8.8 L/100 kms which obviously beats both official ratings. This is great, but I can’t help but wonder just how much better this vehicle would have done had it had a diesel under the bonnet. As it turns out, we still may need to wait a while before we find out, as VW is still very much mired in that whole mess. I came away fairly impressed with the Alltrack as an alternative to the SUV or the crossover. It handled mostly everything I, and Mother Nature, threw at it. But there’s a bit of an issue. My tester’s as tested price is quite expensive for a Golf. 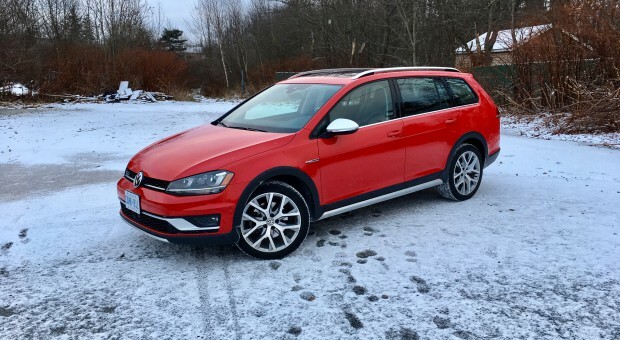 At $40 grand, without the performance credentials of another Golf that’s also $40 G’s (the Golf R), it becomes a bit of a tough pill to swallow, especially considering a non-lifted Golf wagon with 4Motion starts at just over $26,000. Still, I enjoyed my time with the Alltrack and I commend VW for offering some competition in a segment largely dominated by Subaru. Competition is always a good thing.